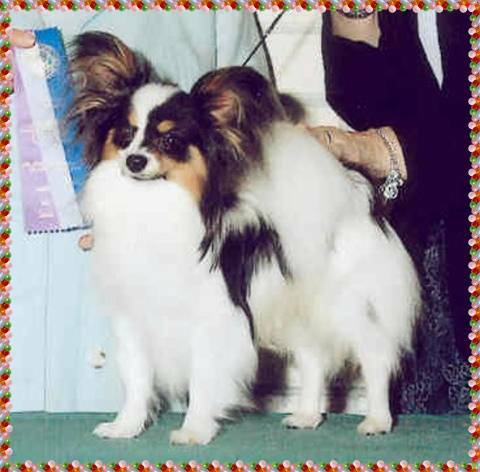 proving to be a wonderful sire - whilst used sparingly he has so far sired five champions, producing a champion in each litter sired and in one litter two champions. 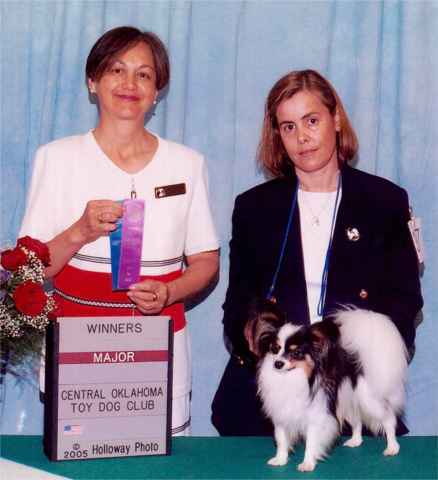 May 2005 After a break from showing Spot returned to the ring at the Central Oklahoma Toy Dog Club and on the final day took WD with a further two points. 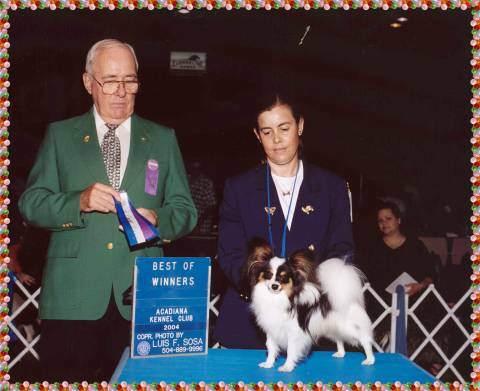 December 2 - 2004 at Northiake Kennel Club of Greater Covington in Biloxi, Mississippi, Spot got Winners Dog gaining one point. 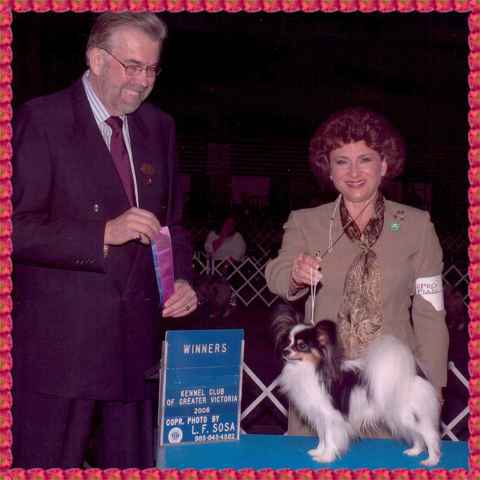 September 23 2004 at the Prairie Dog Cluster in Lubbock, Texas Nouveau Spot On took Winners Dog and Best of Winners with a three point major. 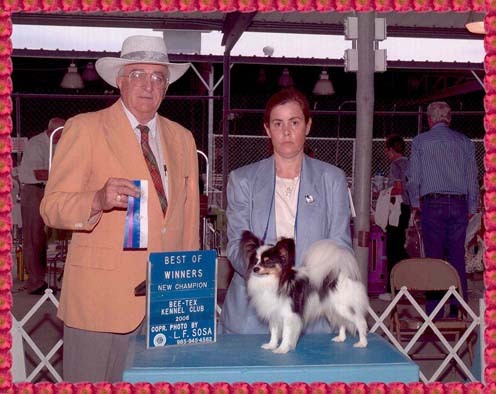 At his first two shows at the Central Toy Dog Club Show in Oklahoma, our new youngster Nouveau Spot On aged nine months took RWD on the first day and on the second day took WD and BOW with a 3 Point Major.